Yay!! Finally I have my own domain!! 🙂 Yes, I’m still learning how to use WordPress (damn its hard!) but knowing me.. I LOVE CHALLENGES!! 🙂 Nope, I’m not gonna change to blogspot.. I am sticking to WordPress.. From now on, my blog address, instead of www.barelysupermommy.wordpress.com.. Its now officially www.barelysupermommy.com. That is a lot of achievement for an IT blunder like me!! Hahaha.. trust me! 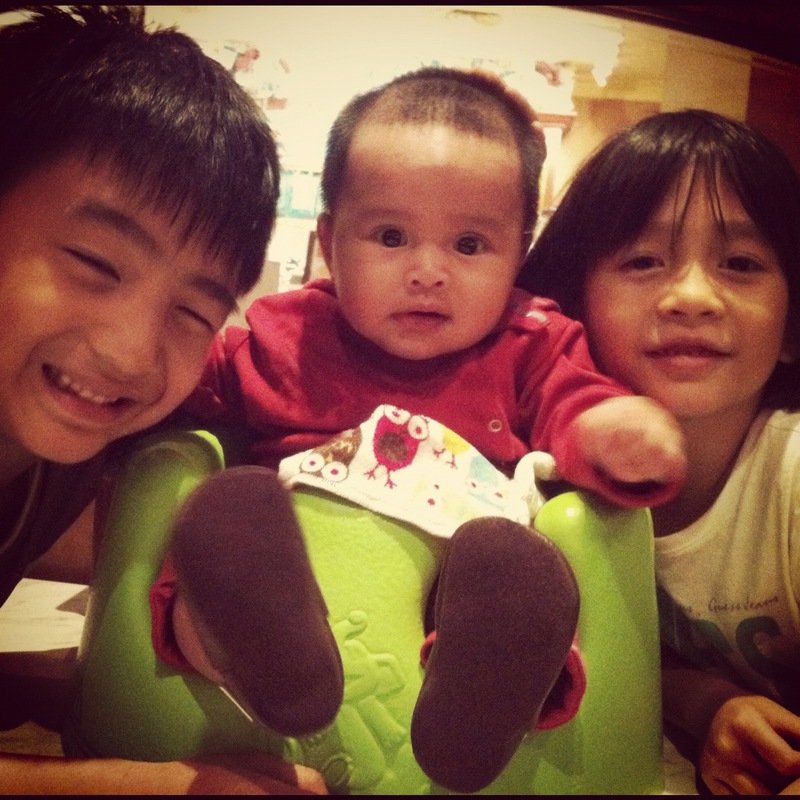 I’m sorry I haven’t been able to update my blog.. Busy baby sitting these three.. (L-R: Aiman, Bella, Balkish) and tomorrow we are gonna have roadtrip to Singapore!! Daddy is attending some astronaut conference there… Mommy and Bella saja wanna jalan2 🙂 Will write to you when I come back!! Posted on December 6, 2011 November 27, 2012 by Dr Halina Mohd YunosPosted in WhateverTagged first. Salam Dr. Halina, still remember me? kakna!! ajak abg mus gi johor premium outlet! go google! looks interesting! baru tgk webpage dah rasa berdebar2.. ahhaha.. takut lar nak pegi!! weeee comei nya layout baru ni…apa2 pun congrats coz ada domain sendiri….happy holiday, safe journey n have fun…. come over to mine: ermieismail.wordpress.com. it;s just 1 day old haha. Bella much more looks like dr.syeikh! ^^. tapi Sye betul2 sukeeeeeeeeeeeeeeeeeeeeeeeee baca blog Dr..